Collection of famous Lash proverbs, true sayings and wise words. Use words and image sayings to keep you moving forward! 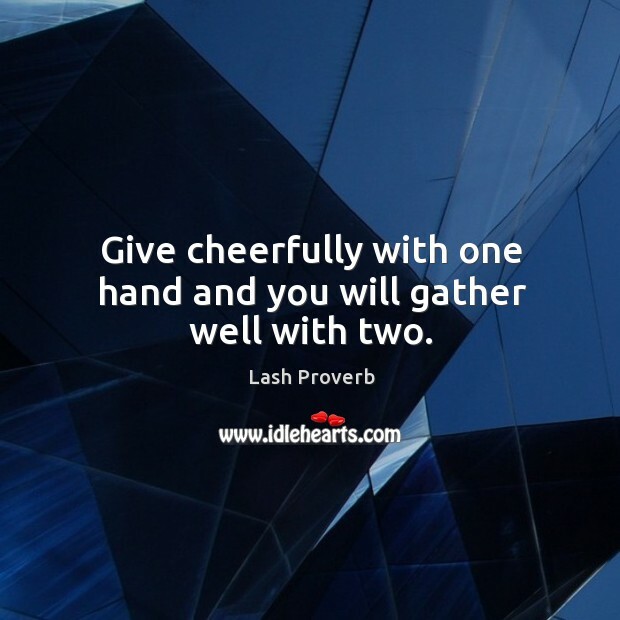 Give cheerfully with one hand and you will gather well with two.